Penthouses are always in fashion and much more when they have good views, exclusive designs or dream locations. They usually have large terraces and open spaces where to share unforgettable dinners and parties with family and friends. Most have large gardens within the community with tropical plants, spectacular pools and are usually located in privileged areas of the city with which we ensure beautiful views. Here we show you a selection of 10 of the best duplex penthouses between the area of Marbella, Nueva Andalucía, Puerto Banús, La Mile de Oro, Benahavís and Estepona. Majestic double duplex penthouse in Magna Marbella, in Nueva Andalucia, unique in the whole urbanization and one of the best properties in Marbella. With 444 m2 of interior size, terraces on the first floor of more than 207 m2 and large solarium on the second floor of 519 m2, for a total built of 1,170 m2. It has 5 very large bedrooms with 5 bathrooms en suite, a large living room of 88 m2, a separate office, kitchen with breakfast area and all appliances of leading brands. The bedrooms are extended by a spectacular gallery with columns, all with en suite bathrooms and exits to the terraces, to the end to reach the large master bedroom with sea views and a dream bathroom. Duplex penthouse brand new and high luxury in Nueva Andalucía. Luxurious duplex penthouse of new construction, unique in Nueva Andalucía, Marbella. In the new development 9 Lions Residences, this property enjoys incredible views of the sea and the mountain of La Concha, with 170 m2 of large terraces and south orientation. Designed and built to the highest standards of the latest generation materials, combined marble and oak floors in light tones to give a feeling of light and amplitude exceptional. This penthouse has 269 m2 of interior on two floors, with 3 bedrooms, with en suite bathrooms, all made under the concept of open spaces and lots of light. The master bedroom is on the top floor, with absolutely stunning views. High-end brands such as Gaggenau and Villeroy and Bosch are used in kitchens and bathrooms. 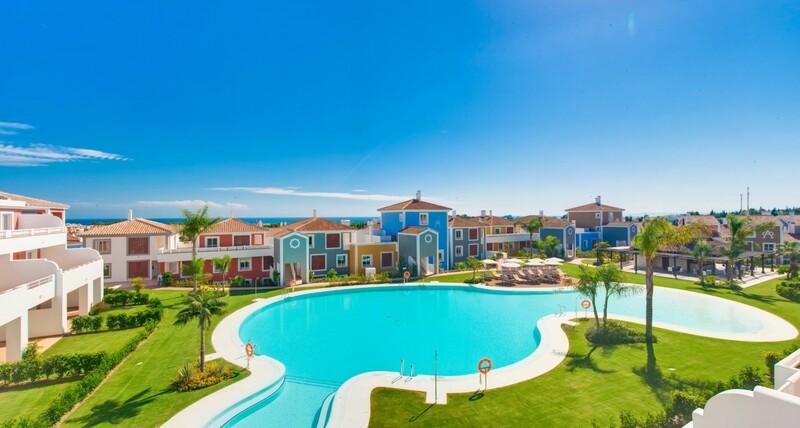 Duplex penthouse in Bahia Alcantara, San Pedro, Marbella. 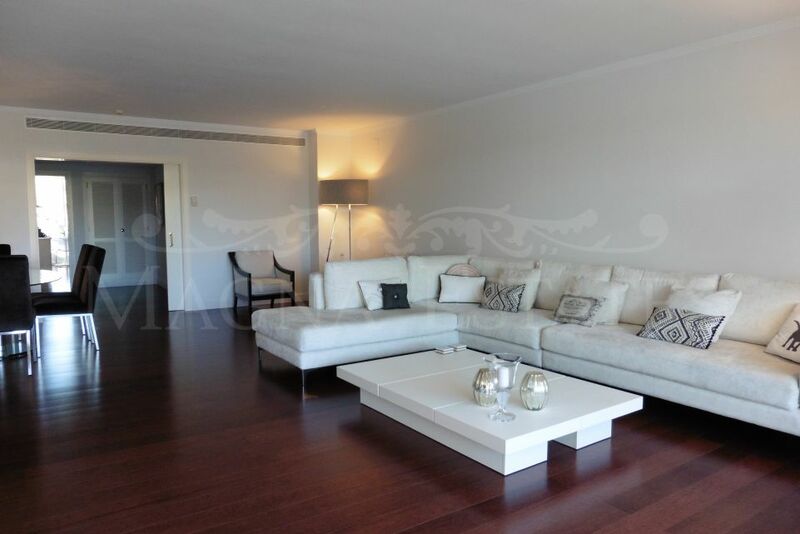 Grand penthouse 3 bedrooms and 3 bathrooms in Bahia Alcantara, San Pedro, Marbella. 370m2 built, 182m2 of which correspond to a wide terrace overlooking the sea and a private Jacuzzi. Fully equipped kitchen, marble floors, hot / cold air conditioning. Alcantara Bay is located just 100 meters from the beach This urbanization has 24 hour security, pool and wonderful gardens. Also near entertainment venues and restaurants. The property has 2 parking spaces and a storage room included in the price. Duplex Penthouse for sale in Lomas del Rey, Marbella Golden Mile, Marbella. Duplex penthouse in Lomas del Rey on the Golden Mile of Marbella, right next to the famous La Meridiana Restaurant, and a short walk from the Puente Romano and Marbella Club hotels and the beach. Perfectly communicated with the center of Marbella and Puerto Banús. The property has 3 bedrooms, has sea views and south orientation, southwest, 173 m2 interior plus 115 m2 terrace, 2 parking spaces and 1 storage room, with an excellent quality construction: marble finishes, underfloor heating throughout the house, AA hot / cold with Daikin anti-damp system, electric shutters, Iroko wood windows, piped music, alarm and Siemens fully equipped kitchen. Duplex Penthouse for sale in La Alzambra Hill Club, Nueva Andalucia, Marbella. 3 bedroom apartment in Alzambra Hill Club, one of the reference urbanizations in Marbella, just a few minutes walk from Puerto Banús. The apartment has 205 m2 built of which 154 m2 are interior and 51 m2 of a large terrace. The house is equipped with marble floors, alarm, double glazing, fully equipped kitchen, security shutters, underfloor heating in bathrooms, air conditioning and home automation system. 3 parking spaces. Great duplex penthouse in Magna Marbella with panoramic views. Spectacular duplex penthouse in Magna Marbella, with beautiful views of La Concha mountain and Las Brisas Golf and all the golf valley. It has three bedrooms, three bathrooms en suite, plus a guest toilet. Fully equipped kitchen with island design and a huge living room of 80 m2 with exit to a terrace of 40 m2. On the second floor has an open space for a study or second living room and the large outdoor solarium of 140 m2 with jacuzzi, barbecue and possibility to install a pergola. Spectacular and exclusive duplex penthouse in Torre Bermeja, Guadalmansa. In one of the best urbanizations of the Costa del Sol, in front of the beach and with a breathtaking view, duplex penthouse with 3 bedrooms and 3 bathrooms with 395 m2 built, of which 185 are terrace. On the lower floor there are two bedrooms, one en suite, a second bathroom, large living room with exit to a stunning terrace of almost 100 m2 and fully equipped kitchen and laundry room. On the upper floor, the master bedroom, with dressing room and large bathroom en suite, with exit to another large terrace of 90 m2 overlooking the entire Mediterranean coast. This duplex was the pilot floor of the development, so it is one of the best in the urbanization. The property has underfloor heating throughout the house, air conditioning hot / cold, qualities carefully to the detail, two parking spaces and two storage rooms. Penthouse in front line beach with incredible views on the New Golden Mile. Incredible penthouse in urbanization on the beach front with 4 bedrooms and 3 bathrooms and an interior area of 148 m2 and 129 m2 of terraces. This property has been completely renovated, further improving the quality of construction. It has a large terrace on two levels, with private pool and spectacular views of the sea, Gibraltar and Africa. With a very modern design, the home includes home automation and other amenities. The urbanization is located on the New Golden Mile, between Marbella and Estepona, in one of the areas with the best infrastructure and development of the Costa del Sol. It has several swimming pools, tennis court, gym and indoor swimming pool. Direct access to the beach. Attention: the price includes all the furniture and has two parking spaces and storage. A gem on the Costa del Sol !! Duplex Penthouse in Los Flamingos Golf, Benahavis. Duplex penthouse in the exclusive urbanization Los Flamings Golf, with 3 bedrooms and 3 bathrooms. It is an apartment with a large terrace and solarium on the top floor with barbecue area, living room and kitchen with separate laundry. It enjoys south west orientation, overlooking the sea and one of the golf courses of Los Flamingos. Magnificent finishes and great general quality. Two parking spaces from which you can access by elevator directly to the attic. This property is located in Los Flamingos Hotel and Golf Resort, where we find the famous Hotel Villapadierna, 5 stars, plus 3 fabulous golf courses. A few minutes from the beach and the beautiful area of Cancelada. 10 minutes from Puerto Banús and Estepona. Spectacular and luxurious duplex penthouse on the beachfront in Mar Azul, Estepona. Spacious and very bright duplex penthouse in the prestigious urbanization Mar Azul, between Marbella and Estepona. It has 3 bedrooms and two bathrooms, the master suite, with 175 m2 of interior and 76 m2 distributed in three terraces + solarium. With south-west orientation, it enjoys fantastic views of the sea, Gibraltar and the coast of Africa. It offers air conditioning hot – cold, underfloor heating throughout the house, satellite television, marble floors in the interior and terracotta on the terraces. The kitchen is completely equipped. The solarium, which is accessed by stairs from the main terrace, has a jacuzzi to enjoy the incredible views and the Mediterranean sun. The price includes a magnificent garage and a storage room. For any information you need do not hesitate to call us at + 34 952 816 338 or write us an email to info@magna-estates.com and we will love to help you find the home of your dreams.